One of my favorite things in my dorm room is my photo wall. I’ve had a photo wall since middle school, actually, so this is a long-running tradition for me. I print out photos of my friends and family (and “borrow” them from my parents’ photo albums, too) and I put them on my wall with double-stick tape to create a big collage of photos. Seeing photos of the people I care about makes me happy! It doesn’t make my roommate happy, though. She’s nice about it, but I can tell that she’s not happy with my choice of decor. And I kind of understand: it’s definitely a little casual, I guess. I think I’d like to class it up a bit, but I really do want photos of my loved ones to decorate my room. What should I do? There are a lot of ways to capture moments of joy shared by you and your friends in wall displays other than the photo collage that you’ve been using--if, in fact, that is what you want to do! If you don’t want to get rid of your collage, of course, you don’t necessarily have to. You could speak to your roommate about her feelings and, if you desire, look for a compromise--like limiting the size of the collage. Or you could have the dispute mediated by your RA or another school authority figure (thankfully, it doesn’t sound as if your difference of opinion with your roommate has come so far as to require this). But if you do want to try something different, you have lots of options. 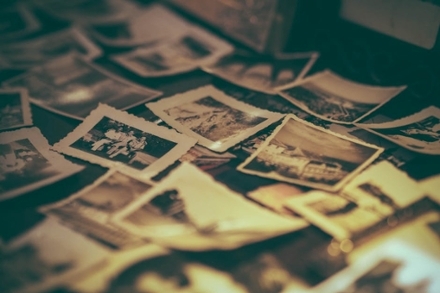 For starters, you could simply frame the photos that you have now. Small photo frames are quite affordable, and you could even find frames that hold multiple photos at once in a way that can replicate, at least in part, the effect of your collage. You could also hang separate frames close together to create a similar effect--just leave an inch or so between them. You could also enlarge photographs that have special meaning to you, and could print them on quality materials. A canvas print, for instance, could transform a simple photograph into a work of art that would look as suitable on the wall of a large home as it will on your dorm-room wall. If you’re looking for a more “adult” version of your photo collection, a fine print on canvas might be just the thing. If you’re open to suggestions and value her opinion, you could also loop your roommate in on your decision-making process. Again, you don’t have to let anyone else call the shots on your own decor--but you may find that, by teaming up with your roommate on this minor issue, you develop a camaraderie that will help you out down the line. Good luck!